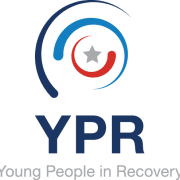 Young People in Recovery is a national advocacy organization, which aims to influence public policy, and helping develop leaders amongst young people, making it easier for them to find and maintain their recovery from addiction. YPR establishes city and state chapters, which act as vessels, carrying out our organizations vision and mission. Our chapters wear two hats: Advocacy & Action.